The ruling has thrown a speed bump in front of Scott Taylor’s reelection campaign in which he faces a challenge from Democrat Elaine Luria. EDITOR’S NOTE: An earlier version of this story stated the wrong day of the week. The State Board of Elections meets Tuesday. WASHINGTON — After a Virginia judge kicked an independent congressional candidate off the ballot due to apparent fraud driven by staffers for Republican Rep. Scott Taylor, the State Board of Elections is set to make changes Tuesday meant to avoid certifying certain false petitions in the future. The Department of Elections had signed off on Shaun Brown having enough valid signatures to qualify as an independent for the ballot in Virginia’s 2nd Congressional District in the Hampton Roads area and Eastern Shore. But an investigation by WHRO Radio then found staffers for Brown’s former opponent had collected hundreds of the signatures, many of which appeared to be faked. A judge in Richmond later found there had been “out-and-out fraud” on Brown’s petitions. The Taylor staffers signed affidavits stating they would take the fifth if they were called to testify. The ruling has thrown a speed bump in front of Taylor’s reelection campaign in which he faces a challenge from Democrat Elaine Luria. The race with Luria is believed to be a tossup, especially given the court fight over Brown. The petitions issue tracks similar challenges in a D.C. Council race. Brown has said she did not know Taylor’s campaign staff were helping her gather signatures at all. She only narrowly got the 1,000 needed to be on the ballot when those petitions were included. Had Brown been on the ballot, the former Democratic candidate may have split the Democratic vote with Luria, that party’s nominee. Brown is facing unrelated federal fraud charges tied to a summer meal program. She has appealed the Richmond Circuit Court ruling that tossed her off the ballot to the Supreme Court of Virginia, which has not taken any action. A special prosecutor is also investigating. Absentee voting has already begun in Virginia. Under the proposed new petition rules, if a candidate’s address provided on the petitions does not match that candidate’s voter registration record, the petitions would be invalid. On the petitions at issue in Brown’s case, there were three different addresses — none of which were where she actually lives in Hampton. Another change based on another candidate’s petitions this year would make it less important if someone who really does sign a petition forgets to include the year as part of the date they signed the petition. Libertarian Peter Wells appealed a decision this summer to the State Board of Elections after he fell just short of the minimum number of verified signatures to make the ballot in the 4th Congressional District due to a number of people who failed to include the year when signing petitions, issues with the notarization of petitions, and cases where the Department of Elections could not validate that the people who signed were registered voters. “The amendments are in response to recent events regarding Shaun Brown’s petitions and the Board’s July 20, 2018 decision regarding petitions submitted by Peter Wells,” a memo to the board said. The changes set to be approved by the State Board of Elections Tuesday would be effective Jan. 1. While the changes are minor, they could have prevented these particular petitions from being approved. The petition changes do not specifically address additional ways to detect signatures fraudulently added to forms that actually belong to people who are dead, have moved out of state or could be flagged as misspelled. Names are already checked for those issues, including through current voter registration address, legibility, Social Security numbers and other information. Also Tuesday, the board is expected to hold a random drawing to determine the ballot order for any elections held from Nov. 7 through the May 7 Vienna Town Council elections. 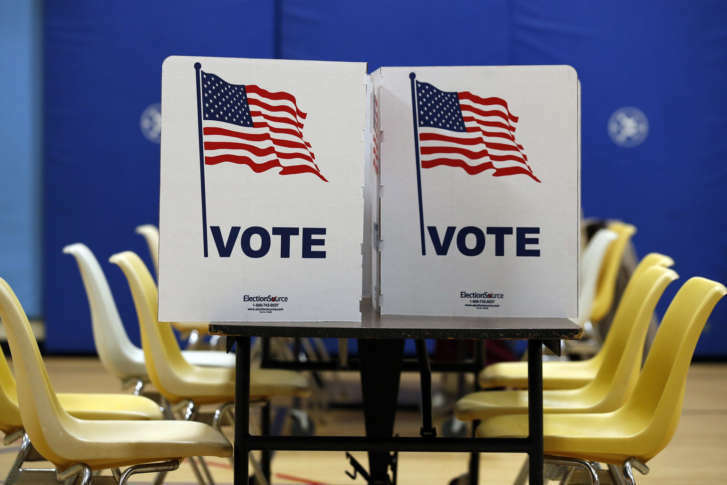 While candidates for offices below the federal and state level are not listed on Virginia ballots with their party affiliations, the order of the candidates can still be determined by party affiliation. Democratic and Republican candidates are listed first or second depending on the random drawing, followed by candidates from other parties based on the random drawing that includes the Constitution, Green, Independent Green, Libertarian and Whig parties. Independent candidates are listed last.